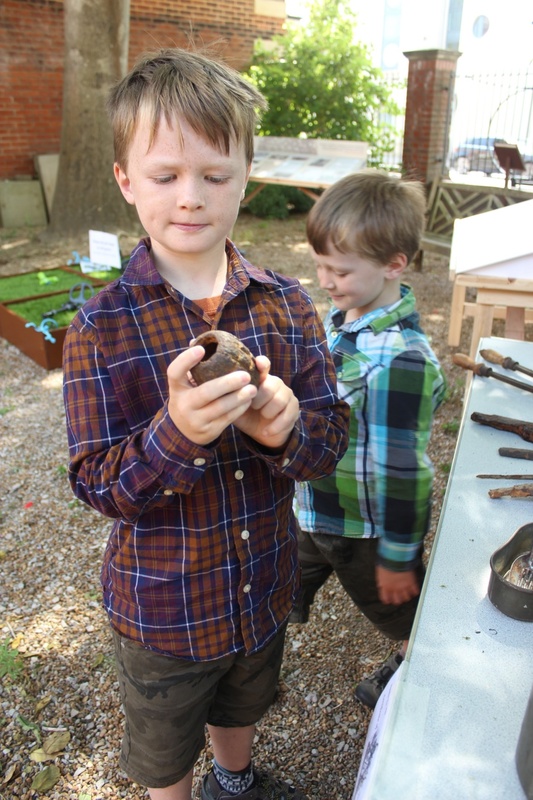 As part of the 25th anniversary of the Council for British Archaeology’s Festival of Archaeology we hosted an event at Worthing Museum to help visitors discover first-hand the objects and clues archaeologists use to find out about the First World War. 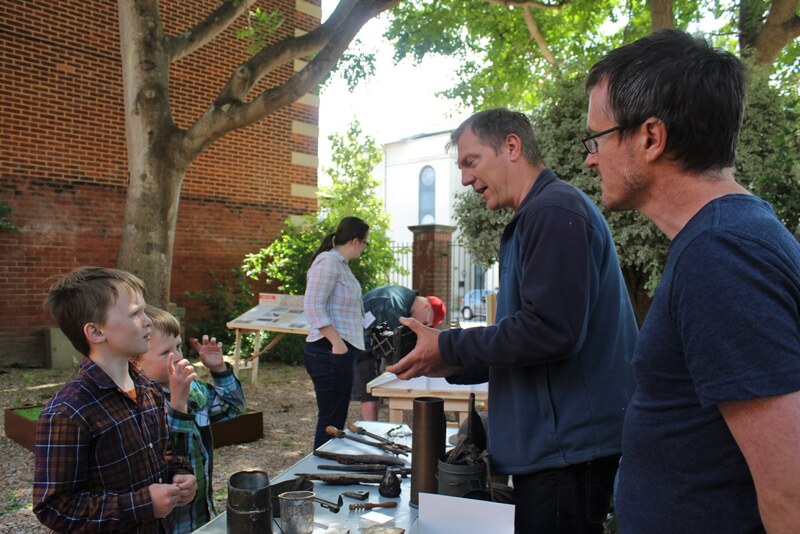 Our expert archaeologists Justin Russell from Archaeology South-East and Luke Barber from the Sussex Archaeological Society, who had provided training for project students and volunteers, were on hand to share their amazing collections. 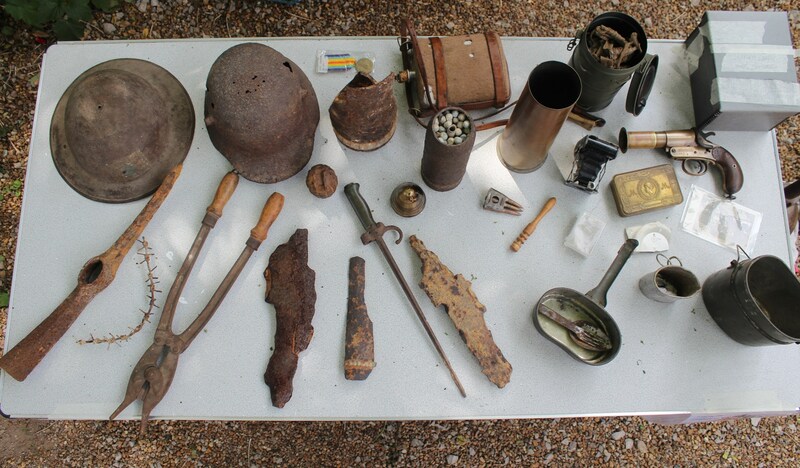 They brought objects from the British, German and French armies that they had collected and in some cases dug up on the Front Lines in France. 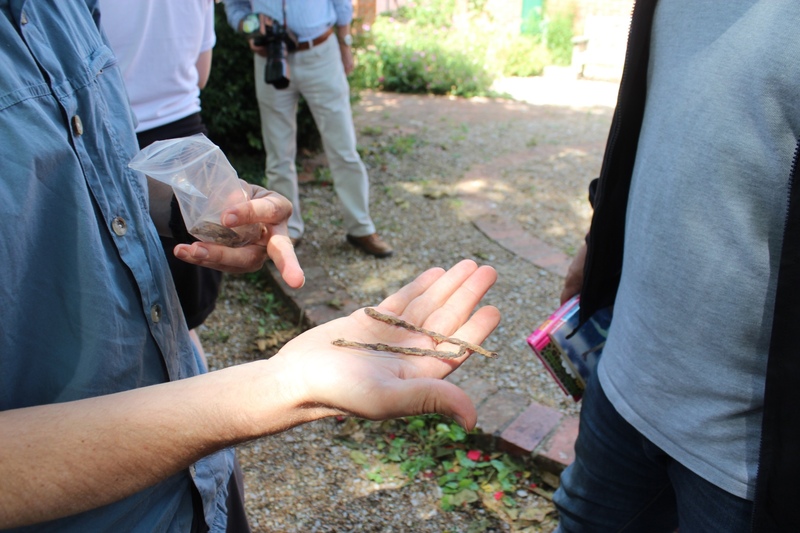 Also on display were objects uncovered as part of our two metal-detecting training sessions and one mini-excavation on the site of Shoreham Army Camp with Worthing College students and volunteers. 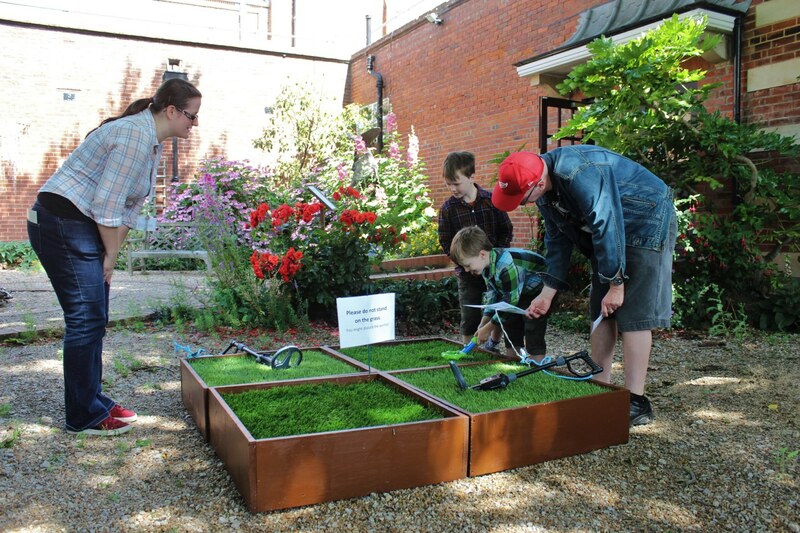 The day also featured the chance for our visitors to do some metal-detecting in a mini astro-turf field. 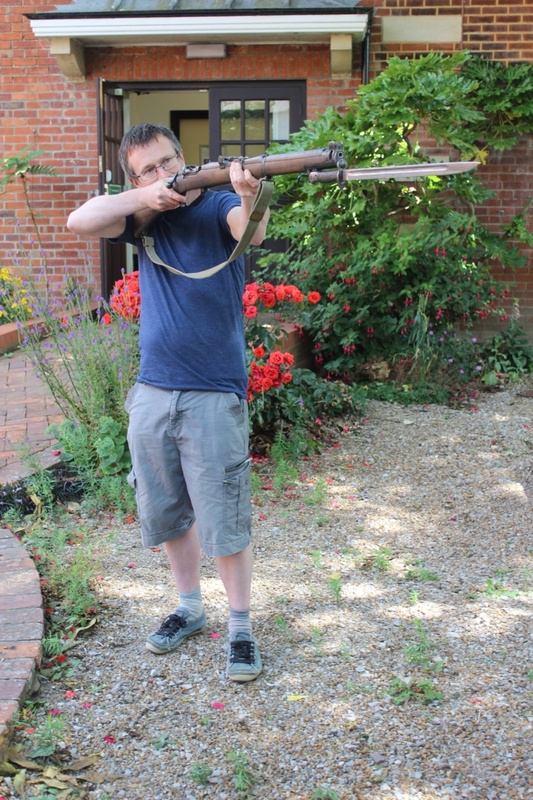 Many thanks to Luke Barber and Justin Russell for their time and sharing their amazing collections with us. Previous PostOn This Day 1915: Those dreadful cinemas!Next PostOn This Day 1917: Canadian soldiers ‘Before the Bench’.